THIS IS A UNISEX PRODUCT. FOR UNISEX PRODUCTS REFER TO US MEN’S SIZING. WOMEN SHOULD SIZE DOWN 1 TO 1 ½ SIZES. A lightweight runner that fuses '70s influences with modern updates. These shoes combine '70s heritage with contemporary details. 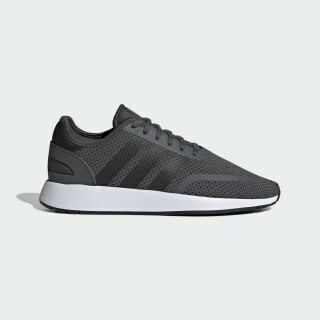 The lightweight knit upper has the serrated 3-Stripes of classic runners, while a moulded heel cage and welded overlays lend a technical look. A lightweight EVA midsole adds cushioned comfort.